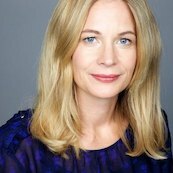 She is also a Board Director of Vinnova, Sweden’s Innovation Agency, the Nobel Museum, Bonnier News and Bonnier Books and she is on the international advi-sory board of Stockholm Resilience Center. She has previously been a Board Di-rector of Investor AB, SEB, and Umeå University, among others. Her previous work experiences include the media publishing house Bonnier, where she was part of the Executive Management as Senior Vice President, Re-search & Development, leading the digital transformation of the media group. During two years, she was based in San Francisco, starting up Bonnier’s R&D-initiative in the US. She has also been Product Development Director at Volvo Cars, where she was responsible for the development of jeep hybrids, sports and sustainability focused car concepts as well as Country Manager of China and Taiwan. Sara was a co-founder of Mindmill Network, an international network of experts advising companies and organizations in their digital transformation, and the CEO and partner of the management consulting firm Differ. Sara has worked in Tokyo, London, Singapore and Brussels and has a Master De-gree from Umeå Business School in Sweden. She has also studied the Executive Leadership Program at Duke University and architecture and design at Parsons School of Design in New York. Sara was from 2014-2018 a tech columnist in Dagens Industri, Sweden’s lead-ning financial daily newspaper, and she is the Chair of the Pontus Schultz Foundation, supporting business initiatives for improved sustainability, diversity and equality.